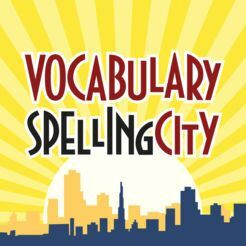 VocabularySpellingCity offers more than 35 interactive vocabulary, spelling, phonics, writing, and language arts activities that can be used with thousands of customizable word lists to engage and motivate K-12 students at every level: gifted, mainstream, remedial, Special Ed, and English Language Learners. Our activities include effective audio and visual components. Word lists range from sight words to academic vocabulary and ACT/SAT prep. VocabularySpellingCity administers tests and automatically grades them. It also generates reports on students’ progress. It’s easy to track student data and provide reports to administrators and parents. Our app records student progress and activities, and allows them to work on assignments at school or at home. Register for a free trial. To learn more, or to receive a price quote for your school/district, please call 800-357-2157 or email sales@spellingcity.com.